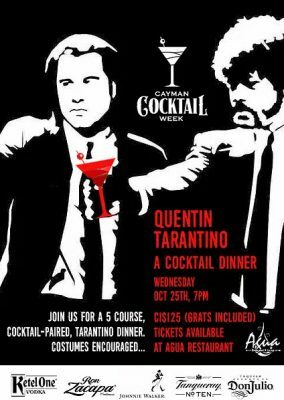 Join us for a 5 course cocktail-paired Tarantino dinner! From Pulp Fiction to Reservoir Dogs, we’re creating themed cocktails and a super fun dinner experience with the talented chefs and bartenders at Agua Restaurant! ​We’re all really excited about this year’s dinner! Tickets available at Agua Restaurant.